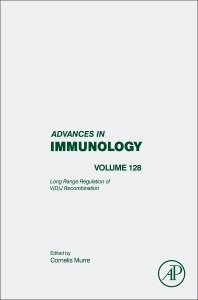 As B and T lymphocytes are characterized by the expression of antigen receptors that specifically recognize determinants expressed on pathogens, this volume discusses how antigen receptors are synthesized in B and T lymphocytes. Research scientists whose research is focused on the development of the adaptive immune system. Cornelis Murre performed his graduate work as a joined program with the University of Leiden at Harvard Medical School. He was a postdoctoral fellow at the Whitehead Institute. He is a Searle Scholar and the recipient of the National Institutes of Health Merit Award. Currently he is a Distinguished Professor in the Biological Sciences at the University of California, San Diego. Dr. Murre has focused his research on the regulation and function of helix-loop-helix (HLH) proteins in stem cells, lymphocyte development and homeostasis. Control of tissue-specific gene expression during B and T lymphocyte development, cell growth, cell death and aging are the prominent themes in his research. Specifically the Murre laboratory has shown that subset of HLH proteins, the "E proteins", contribute to B lineage- and T lineage- specific gene expression programs, regulate lymphocyte survival and cellular proliferation, activate the rearrangement of antigen receptor genes, and control progression through critical developmental checkpoints. In more recent studies they have constructed a global network consisting of transcriptional regulators, signaling and survival factors that we propose orchestrates B cell fate. Currently, his studies are focused on physical mechanisms that underpin the generation of antigen receptor diversity.